Posted on November 24, 2016 by Elizabeth E.
Oh, Elizabeth……..that is an incredibly sweet thought!!! 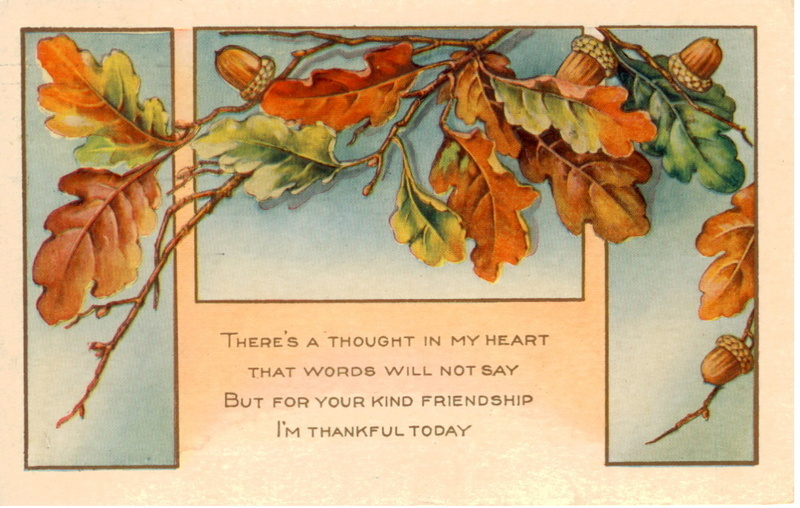 And I am thankful for your friendship, also!!! Quilty friends are THE best!!!!!! Hugs……………. Happy Thanksgiving Elizabeth. I love the vintage artwork of your greeting. I’m so glad to have met you and taken classes from you.